As the Office Manager at Schumacher Orthodontics, Michele brings a fresh leadership to guide the day to day operations of the practice. Michele has been in the dental field for over 15 years, and joined Dr. Schumacher's team in March 2016. In addition to Human Resources and Staff Development responsibilities, Michele oversees all insurance and financial matters for our patients. Michele's attention to detail and dedication to our patients is evident as she works daily to ensure our families maximize their insurance benefits, as well as address financial concerns and questions in the utmost professional and kind manner. Michele has been married to her husband Danny for 29 years. She has two beautiful children, Ryan and Marisa, which make her very proud! She enjoys watching her children in team sports, going to the beach, long walks and spending time with her family. JoAnn has been married for 35 years, and she has 2 children. JoAnn’s favorite role is Nana to her 2 grandchildren! JoAnn enjoys horseback riding, gardening and relaxing at the beach. Angel enjoys her days at Schumacher Orthodontics welcoming patients, making and confirming appointments, verifying insurance, and communicating with referring dentist offices. 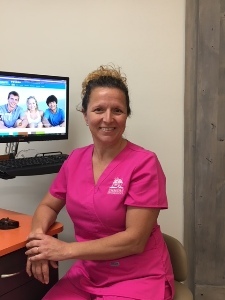 Angel is new to orthodontics, however her extensive background in customer service make her the perfect fit for taking care of our patients. Angel's positive attitude and welcoming smile are a great addition to our team! Angel's pride and joy are her three daugthers, Sidney, Chaselin and Kaiya. She enjoys spending time with her girls and relaxing at the beach. Rachel joined the Schumacher Orthodontics team in early 2014 as the Treatment Coordinator, with 10 years of experience in the dental field. Rachel is the smiling face that guides our new patients through the process of beginning orthodontic treatment. From answering treatment questions, making financial arrangements, and demonstrating orthodontic appliances, Rachel serves our patients with enthusiasm and takes great care to communicate with our referring dentists about each individual patient. Rachel is married to her best friend, Tim, and they have a daughter named Julia, and a Chihuahua named Duke. Rachel and her family enjoy spending time at the beach and Disney. Rachel is a country music fan, and loves cheering on her Duke Blue Devils! From the first day that Schumacher Orthodontics opened in 2010, Melinda has played a vital role in the daily operations of the practice. 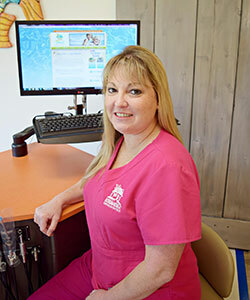 As the Lead Orthodontic Assistant, Melinda oversees clinical operations, works chairside with Dr. Schumacher, and ensures that all necessary appliances and supplies are ordered and organized. Melinda’s leadership and attention to detail ensure that our clinical team is well prepared to serve our patients every day. Melinda is incredibly proud of her 3 sons- Ben, Max and Joe. Melinda loves spending time with her boys! She also enjoys kayaking, relaxing at the beach, yoga and vegan cooking. Tara joined Schumacher Orthodontics in 2016 as an Orthodontic Assistant. 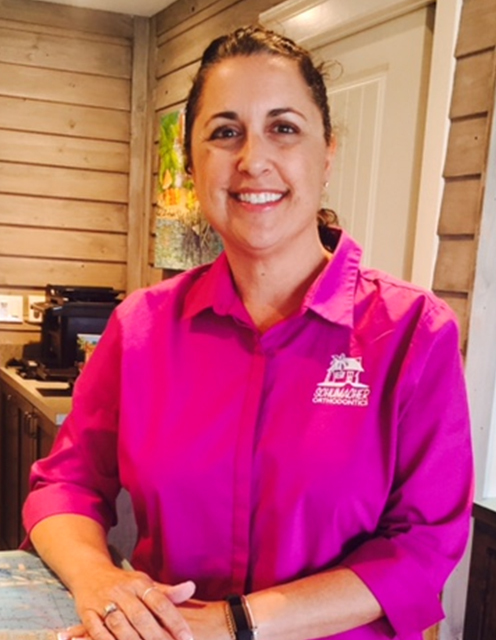 Having 17 years of orthodontic experience, Tara's knowledge and experience is a great addition to our team! Tara works chair-side with Dr. Schumacher during clinical procedures throughout the day. She loves to come to work every day and be part of life-changing transformations of smiles.Tara diligently serves our patients with her cheerful attitude and meticulous attention to detail. Tara was born and raised in Indiana but her heart has always been at the beach! She loves being outdoors and enjoys being active.Tara enjoys numerous sports but her true passion is weight training.Tara is the "Worlds Coolest Aunt" to seven amazing nieces and nephews and thoroughly enjoys spoiling them rotten! Kristin joined the Schumacher Orthodontics team in early 2015 as an Orthodontic Assistant. 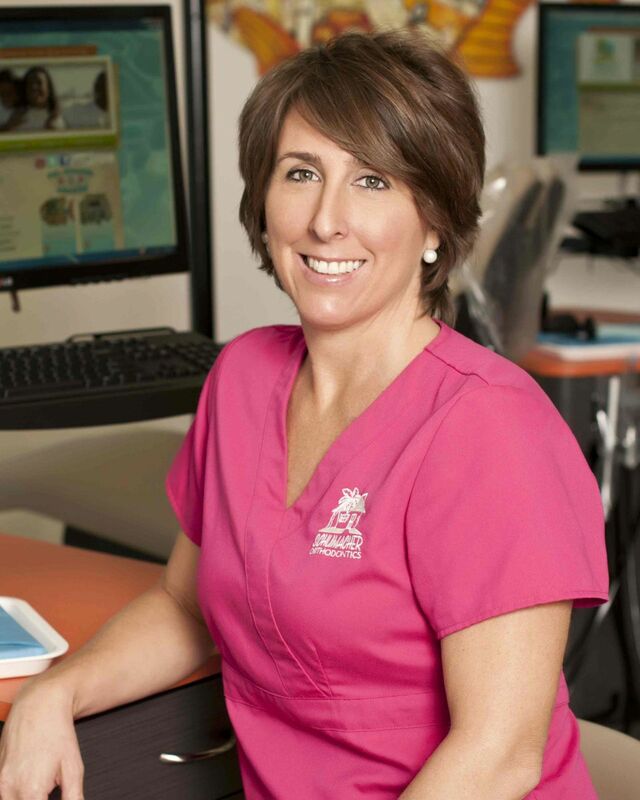 Kristin has worked in the orthodontic field since 1986, and her years of experience are a valuable asset to our team. Kristin assists Dr. Schumacher with all chairside procedures, including placing braces at the beginning of treatment. She does an excellent job educating our patients about their new braces, especially emphasizing the importance of good brushing and flossing habits! Kristin is a Florida native, and she enjoys all of the wonderful outdoor activities our state has to offer. Kristin has 2 sons and a large extended family that she enjoys spending time with. Kristin is fan of Florida sports teams, particularly the Gators, Dolphins and Marlins! Taylor began working in the dental field in 2015, and joined the Schumacher Team in March 2018. As a chairside assistant, Taylor works closely with Dr. Schumacher during clinical procedures throughout the day. She has excellent attention to detail and takes great pride in caring for our patients on a daily basis. 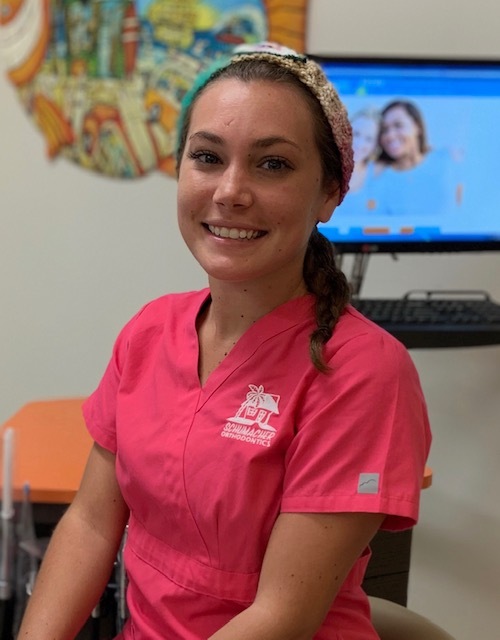 Taylor 's favorite part of her day is being able to talk and relate with patients while improving their smiles and confidence one appointment at a time. Taylor is originally from Sebastian, Florida where she enjoyed playing softball and soccer. Taylor loves to travel on her time off to different cities for music festivals and art galleries. Lisa is the newest Schumacher Orthodontics team member, joining us in the fall of 2017. Lisa's extensive experience in the dental field includes time as a dental assistant, office manager and dental lab technician. While Dr. Schumacher custom-designs all of our appliances and retainers, Lisa brings them to life in the lab with the help of our 3-D printer and her many years of experience. Lisa loves making colorful retainers and custom designs- so don't hesitate to get creative when it's retainer time! Lisa has been married for over 25 years, and she enjoys time with her husband, as well as her 3 children and 2 granddaughters. 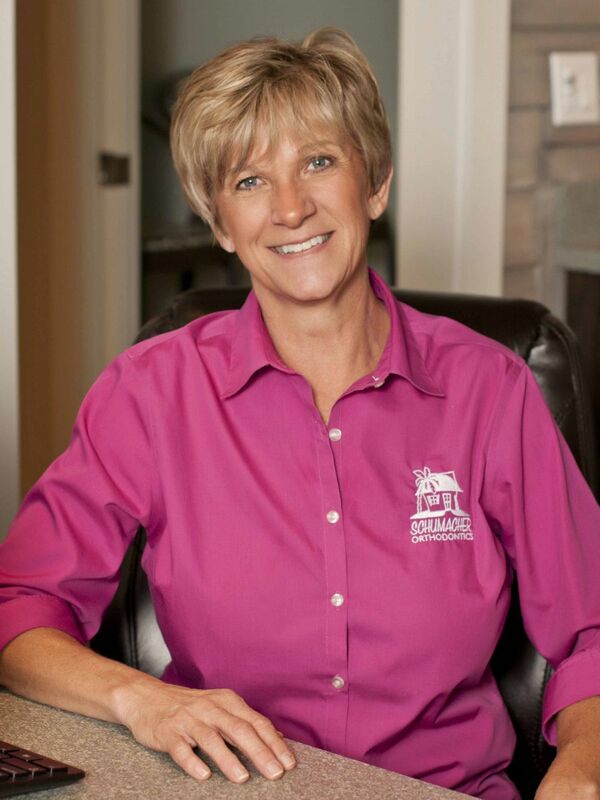 Lisa volunteers her time to Habitat for Humanity and enjoys flipping houses as well as traveling. 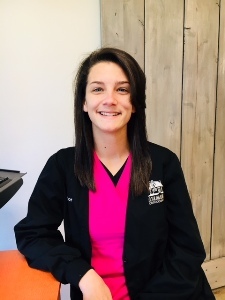 Mariah joined the Schumacher Orthodontics team in 2018 as an Orthodontic Assistant. Mariah works chairside with Dr. Schumacher during clinical procedures throughout the day. Mariah is a graduate of the Dental Assisting Program from Eastern Florida State College. Mariah is a natural in our field and is a great asset to our team! Mariah was born and raised in Indialantic. You will frequently find her at the beach with her puppy Nala-especially during sunrise and sunset. She enjoys music festivals, skating and camping as well as any outdoor activity. Mariah considers herself to be a mermaid infatuated with any and all water activities especially boating, fishing, lobstering and snorkeling. 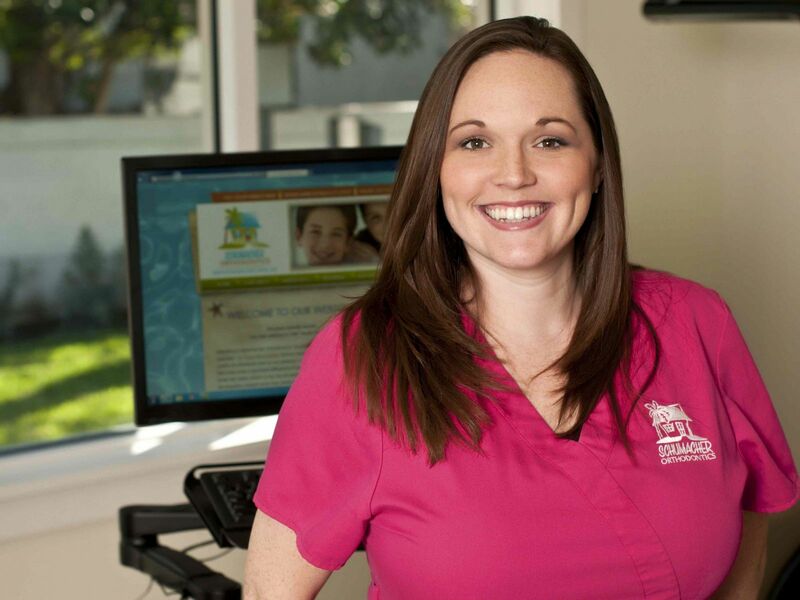 Melissa joined the Schumacher Orthodontics team in 2013 after graduating from the dental assisting program at UCF. 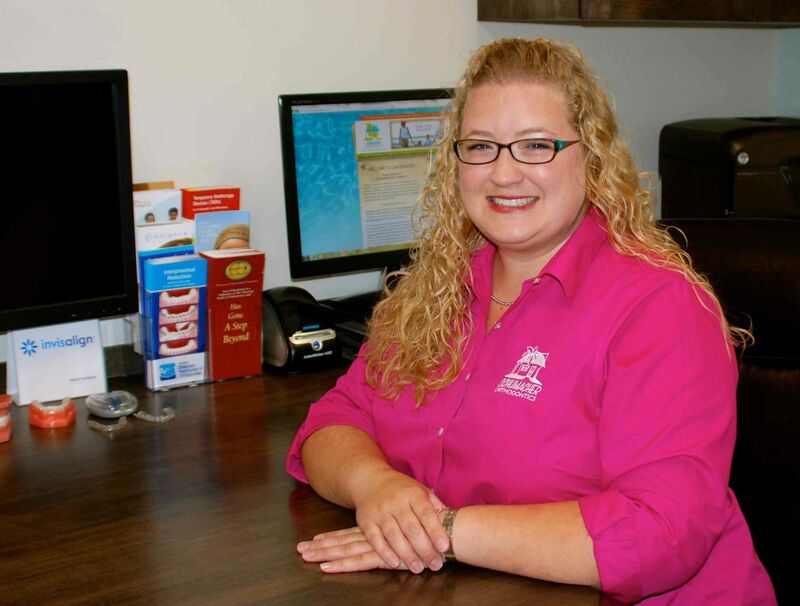 Melissa serves our patients as an Orthodontic Assistant, and she specializes in treating our Invisalign patients. 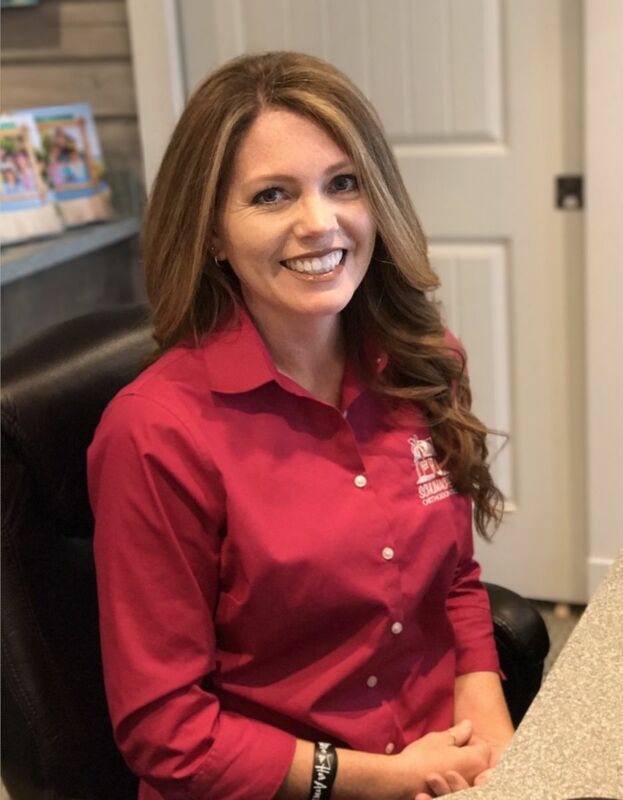 In addition to assisting Dr. Schumacher chairside, Melissa utilizes her organizational skills in the lab, ensuring that each individual patient’s appliances are customized and fabricated in a timely manner. Melissa has been married to best friend, Dan, for 10 years. They have 3 beautiful boys, Jackson, Dylan and Mason. In her free time, Melissa enjoys shopping, watching sports and taking trips to Disney World.